This week brought me back to where my journey had began. I tried so hard to avoid going to UST hospital this past year but I just couldn’t get out of this one simply because Sam needed to be admitted to the same hospital after having taken some “bad food” at a party and her pediatrician happens to come from the very place too. And much more, the only available room was on the same floor where Mariel and I had stayed a year ago. It was like diving to the trenches anew. Tough luck or providence? You be the judge. For a time I was of course more preoccupied with Sam who was going through the lab tests and was running a high fever. But still the images and emotions of the recent past had kept hounding me, taunting me to confront my fears and regrets. 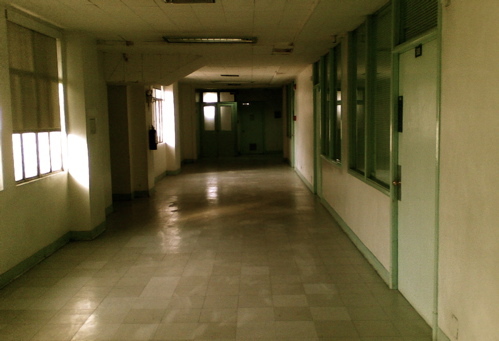 It wasn’t long before I had finally found the guts to again walk the long, lonely corridor. To relive the days when time had stood still. To return to the valley of tears. I must admit however that it was not as bad as I had imagined. In fact, I felt a certain kind of peace with my sadness, as I stood outside the door where Mariel and I had shared seven fateful days not so long ago, believing love will be enough to get us through. At that point, some nurses at the station recognized me and remembered Mariel. (I guess very few people really forget her once they somehow get to know her.) They said they remembered most the whiteness and porcelain-like texture of her skin. I’m not surprised though, because I had always known that Mariel had radiated such simplicity and childlike purity. That’s what most people usually grasp, that was the very feeling I had when I met her for the first time at the Gourmet Cafe. She was glowing and almost translucent. It was like old times again for some fleeting moments. 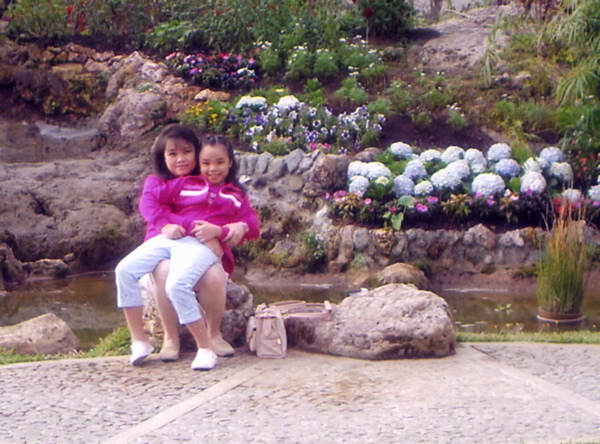 And I neither felt afraid nor burdened because I was sure, Mariel was there holding my hand. Good night Mommy. ‘ Love you. It’s a bit like learning to walk again. If someone asked me what it’s like to try to move on from grief, I guess my best answer would be something like it. For life’s now like wanting desperately to leave behind the pain, yet not really even knowing how to make that very first step . Which will it be? Will I lead with my right foot or left foot? Decisions, decisions, decisions. Even life’s simplest tasks can get to you. Being afraid to fall flat on your face yet wanting to prove to the world what a brave little boy you’ve become. And if it’s some consolation, everything seems to move so utterly slow and everyone’s so willing to cut you some slack. “Poor little Bong” comes to mind. Slacker Joe turned hero is another. I must admit I may even be strangely beginning to enjoy this but I know however, I’ll have to do just it sooner or later. I must make something of my life again (other than just sitting around, feeling sorry and waiting for that chariot ride to the pearly gates). I know Mariel insists on it. For Sam? Maybe also for me. For she had always looked the other way as I’ve gone through life merely getting that free ride. Well now, I’d have to really hack it. No more training wheels. I attempted to do that the other day, when I had inadvertently found Mariel’s Christmas CD collection at the car’s glove compartment. It took me a while to gather some courage to play it. For I had mostly stared at it only before, knowing the floodgates of emotions it can open. Of course, I did manage to get through the third song before the portal started to open again and tears naturally came flowing once more. It was somewhere the “dreaming of a White Christmas” part when I lost it. It’s just fortunate that it was raining outside my car and I had my oyster all for myself. Otherwise I may have looked like a fountain Gargoyle. But I know I had made Mariel proud that time, maybe even laugh too. Because baby steps as they are, I had tried to “walk” again. For Sam? Maybe even for myself. And I know I will never walk alone because Mariel’s always there with me. I love you Mommy. Let me play this tune for you, good night.